Huawei as a whole has been a dominant force in the consumer technology market over the past few years. Just last year, it overtook Apple as the second-largest smartphone manufacturer in the world, right behind Samsung. Ever since the introduction of the P9 series with help from Leica, Huawei has constantly been able to reshape the way we view smartphone cameras. 2019 is no difference with the introduction of the Huawei P30 series. 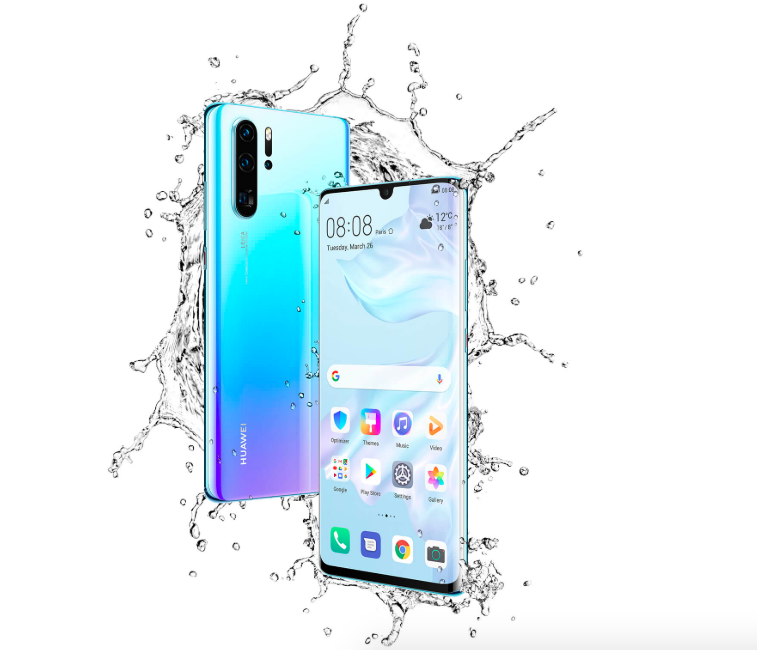 This comes after its global debut in Paris on 26 March, which has now become the go-to spot for Huawei to release its yearly P series of smartphones. Now, the P series of Huawei devices have always been touted to be photography-oriented but the P30 series may have just killed its predecessors. But what are the main differences to both of Huawei’s latest flagship devices? To kick things off, the Huawei P30 Pro is the much bigger and badder brother. It comes with all the bells and whistles that one can find with your everyday premium flagship smartphone like a dual-curved OLED display that stretches out to 6.47-inches. Sadly, the P30 Pro still features a notch at the top in the shape of a teardrop rather than an entire array of cameras and sensors. However, it’s interesting to note that Huawei has chosen to omit the earpiece speaker in favour of an in-display acoustic sound system. Essentially, this saves space for the overall design for the phone, which allows users to have more screen time than usual. Much like Huawei’s other flagship Mate series, the P30 Pro comes with an in-display fingerprint sensor as well. 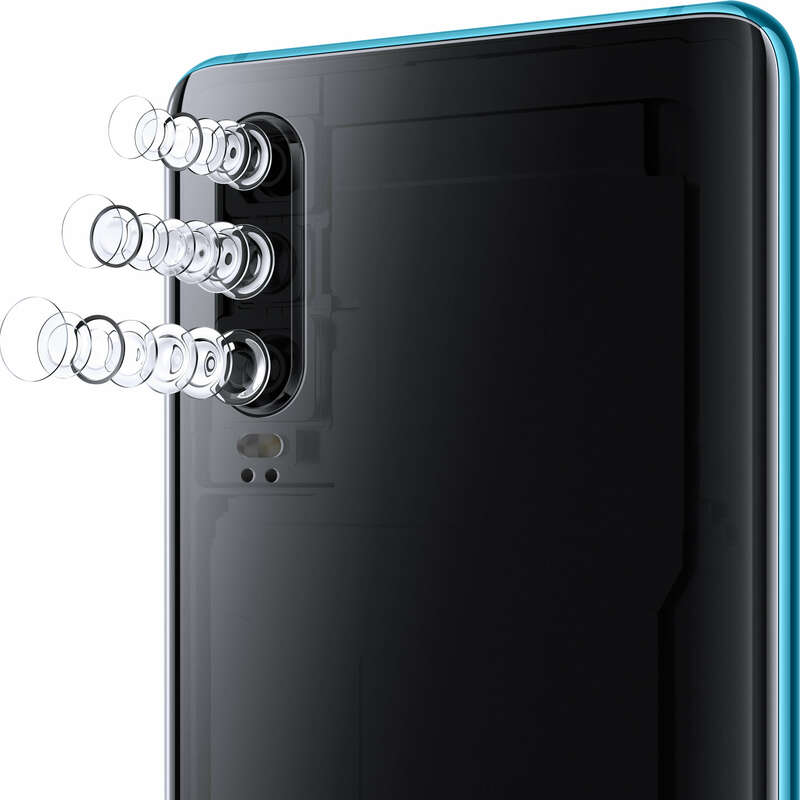 But that isn’t the best part of the Huawei P30 Pro as the rear houses a quad-camera setup. The camera setup on the Huawei P30 Pro boasts exceptional low-light photography capabilities as well as the ability to have up to 50x digital zoom, something that is unheard of for a modern-day smartphone. To top it all off, the Huawei P30 Pro houses a large 4,200mAh battery with SuperCharge technology as well as wireless charging support. This allows it to be a wireless power bank of sorts, as long as that the device is also supported by wireless charging. The Huawei P30 is arguably less impressive when compared to the others in the lot but that doesn’t mean it can’t carry its own weight. It houses a 6.1-inch OLED display as well but unfortunately, it isn’t dual-curved. 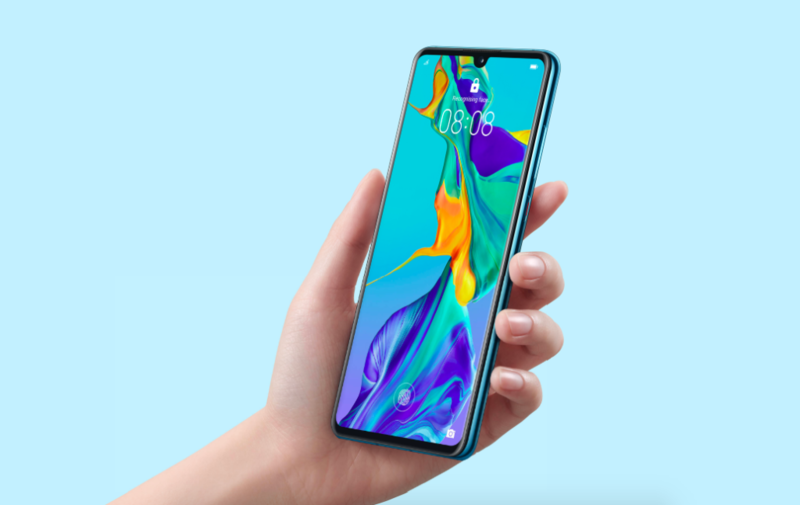 However, it does carry the same in-display fingerprint sensor as well as a 32MP front-facing camera on its notch. On the rear of the device sits a triple-camera setup, one less than the Huawei P30 Pro. It carries the same main camera as well as telephoto lens while the only downside is the much smaller 16MP ultra-wide-angle camera. The only slight upside that comes with the Huawei P30 is its 3x optical zoom that comes with the telephoto lens. The device will not have wireless charging support as well as no IP68 dust and water resistance rating, unlike the Huawei P30 Pro. To be fair, it does come with a headphone jack, so there’s that. All in all, the Huawei P30 is more of your standard model while the Huawei P30 Pro is easily the more extravagant of the two. Both devices will go on sale on 6 April 2019 and it is available for pre-order now. With these being the premium flagship devices, it’s bound to come with plenty of colour and storage space choices. The Huawei P30 is available in only an 8GB/128GB storage variant at RM2,699 while the Huawei P30 Pro carries both 8GB/256GB storage as well as 8GB/512GB storage at RM3,799 and RM4,399 respectively. 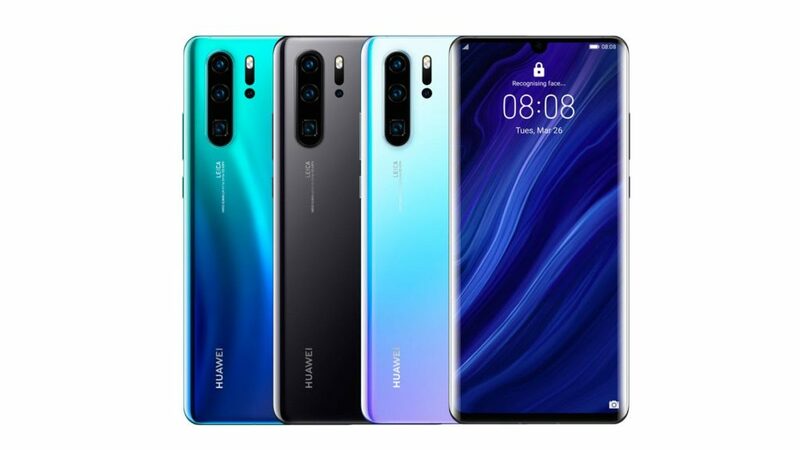 As for colours, the Huawei P30 is available in all three colourways – Breathing Crystal, Aurora, and Black. The same can be said for the smaller Huawei P30 Pro variant whereas the largest of the lot is only available in Aurora. As of right now, Huawei can do no wrong and it knows it. With Q1 of the year already done with, could this be the year when Huawei actually dethrones Samsung for the number one spot?